In this week’s New Yorker, Jill Lepore reviews Cubed: A Secret History of the Workplace, a book whose author asks the question, what is the work place of the future? The information worker is a relatively new concept. Peter Drucker coined the term in the 50s. By then companies had already developed new ways of housing information workers. The very first information workers were accountants hunched over “Bob Crachit” desks in the back rooms of factories. Booming railroad companies demanded more organization and created offices within the new skyscrapers along the Chicago skyline. With these new offices came stacks of paper and folios, and cabinets in which to file them. Then, the Mad Men wrought an era of typewriters and mahogany corner offices. Next, Bell Labs invented the suburban office park, moving offices from the city as part of post-war suburbanization and in the 70s, Herman Miller crafted the now-ubiquitous cubicle, which was called the “Action Office” when it launched. Oh, the irony. Throughout these eras described in the book, four parameters characterize each period: office location, the tools used within the office, the layout of the office and the vibe. How are these evolving for today’s workers? In the Bay Area, San Francisco is exerting a strong gravitational pull on startups and has arguably become the nucleus of the Bay Area. The dictaphones, typewriters, mimeograph machines and desktop computers of yore have been replaced by standing desks adorned with Apple Cinema Displays, bike racks hang from the joists in hallways, exposed brick and beam has replaced sheetrock and plaster, and conference rooms have become smaller often connected to the world by video conferencing. Gone are the cubicled Action Offices, replaced by open floor plans, which are now seemingly a thing of the past. The most prominent change, though, is vibe. 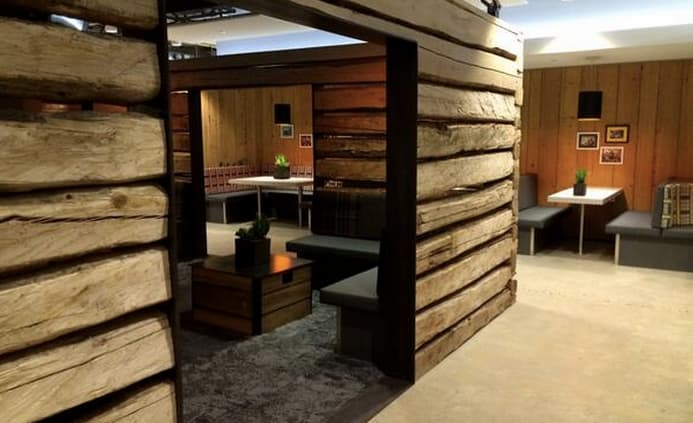 To see what I mean, sit in the log cabins adorning the 5th floor of the Twitter offices, or lounge in the heavy industry, hexagon-decked metallic kitchen of the HeavyBit incubator, or the mushroom conference room at AirBnB. 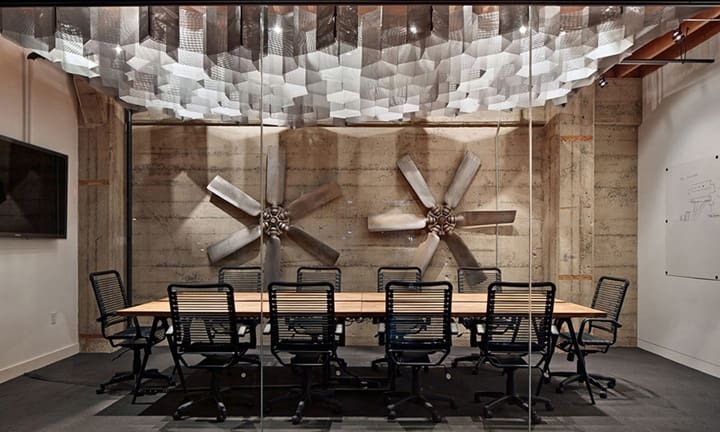 Vibe is the embodiment of a company’s culture in furniture, food and decor. Vibe is a recruiting tool, a PR weapon and a competitive advantage. Vibe is so important for Heroku that the founders hired a Chief Vibe Officer. The use of the workplace in this way is novel. I suspect laptops and mobile phones will also change the way we craft and construct our workplaces. I suspect we’ll see many smaller conference rooms in offices than we have in the past. Also, because of the combination of mobility and urbanization, much more work will be completed outside the office in cafes and parks and home. It’s fascinating to trace the arc of our workplaces and the impact our tools and work have on the places we spent most of our lives in. Increasingly, the four walls that surround us are embodiments of our values.